Located on the north east corner of 8th and Brook streets. GPS coordinates: 33-degrees 54'20.4" -98-degrees 30' 12.1"
named Wichita General Hospital. 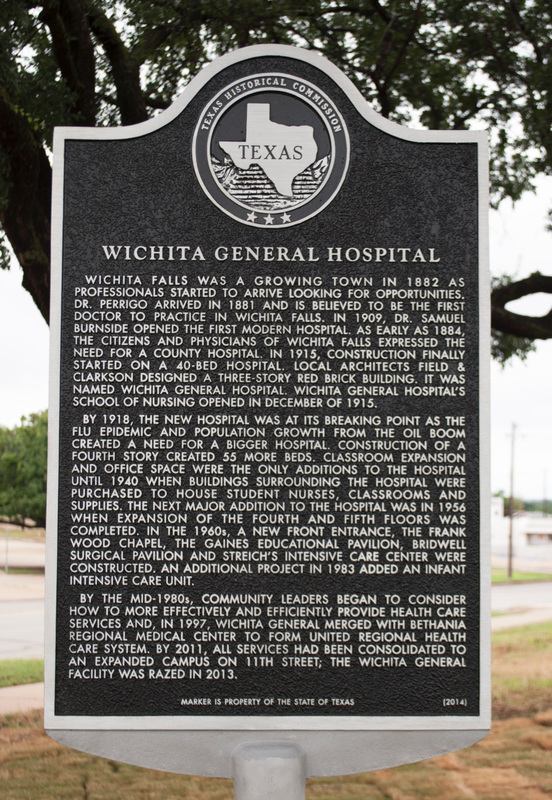 Wichita General Hospital's School of Nursing opened in December of 1915. Surgical Pavilion and Streich's Intensive Care Center were constructed. An additional project in 1983 added an infant intensive care unit.